Editor’s Note: We are pleased to present this article by our colleague Derek Fields. … funding provided by Coca-Cola North America (CCNA), The Coca-Cola Foundation, or The Coca-Cola Company’s U.S. corporate headquarters to entities based in the U.S. for health and well-being programs and communications activities conducted in the U.S.
That is, unless, the organization receiving the money didn’t want the public to know that they took money from Coca-Cola. In those cases, Coke couldn’t publish the donation information, and we may never know about it. Coke lets you know this little detail in the fine print at the bottom of the 1,000-record database. The Russells’ blog post analyzing and cataloguing all the changes that appeared in the February 4th version sparked an investigation, and eventually, an article in the Sydney Morning Herald. One of the reporters who wrote that article reached out to us as he was working on the story to ask about an Australian scientist whose name appeared in a spreadsheet we had made of all Coke’s changes to their disclosures. We explained our spreadsheet to him and told him where he would find information about the scientist he was interested in, as well as some other information he needed for his article. As the reporter wrote the article he reached out to Coca-Cola, and a spokesperson there told him that Coke would reveal all its information about their funding of Australian health science since 2010 “in the coming months.” His SMH article eventually revealed that “Coca-Cola South Pacific covered ‘about half’ of the money needed to establish and run” Exercise is Medicine in Australia. So hopefully our efforts will force Coke to disclose information about their contributions to the rest of the world rather than only North America. Although, as you’ll see in this article, the accuracy of Coke’s info on North America is somewhat questionable, and it’s really not very helpful for Coke to release information in the name of truth and transparency if it’s not accurate. Coca-Cola still hasn’t released any public statement explaining the changes to the original database, despite the fact that many new records appeared out of thin air, some disappeared, and others changed in dollar value. You can find an archived version of the original database that was published on September 22, 2015 here. We’ll call that one the “original/September 22nd version” throughout the article. Keep in mind that, according to the fine print, the database still covers the exact same time period, January 1, 2010 through June 30, 2015. Therefore, the records that appeared out of nowhere, some of which date back to 2010 and 2011, can’t be explained away as new donations. However, Coke did manage to quietly update the database again. By February 9th, one day after the Russells’ first article on the database changes, Coke had change the page back mostly to its original appearance. We’ve gone through all three versions of the database and compared them to catalogue changes. You can find a spreadsheet showing all of those changes across each version of the database here. Please note that there were 147 changed records in the database of roughly 1,000 records. We certainly won’t examine all of those records in this article, but you can see them all for yourself in the spreadsheet. As mentioned, some records appeared out of nowhere. For example, there was a new $1,770,000 grant from 2013 that went to a project called “Sugar and Artificial Sweeteners–Are There Any Real Public Health Issues,” headed up by a Dr. Peter Boyle. Coke has removed most of the donations that appeared out of thin air in the February 4th version of the database in their current version, which we’ll refer to as the “current/February 9th version” throughout this article. Likewise, they added all of the donations that disappeared in the February 4th version of the database back into the current/February 9th version. Other donations and grants changed in dollar value between Coke’s original/September 22nd version of the database and the February 4th version. For example, a 2013 donation to the American Academy of Pediatrics jumped from its original value of $325,000 to $700,000 on the 2011 grant. A grant to Dr. James Rippe’s Rippe Lifestyle Institute jumped in value from $76,574 to $321,811 (and information stating that Dr. James Rippe was the principal investigator behind the project disappeared). As is the case with those two examples, Coke has updated most donations where the dollar value changed back to the amount displayed in the original/September 22nd version that they first published. But Coke didn’t simply revert the database back to its original version. That seems to suggest that there was something even stranger going on than just donations appearing and then disappearing randomly. Here you can find a spreadsheet showing the few changes Coke made in the February 4th version of the database that they have kept in their current/February 9th version of the database. Six new grants to the American Heart Association, totaling $289,550, remain in the database as of the date of this article. 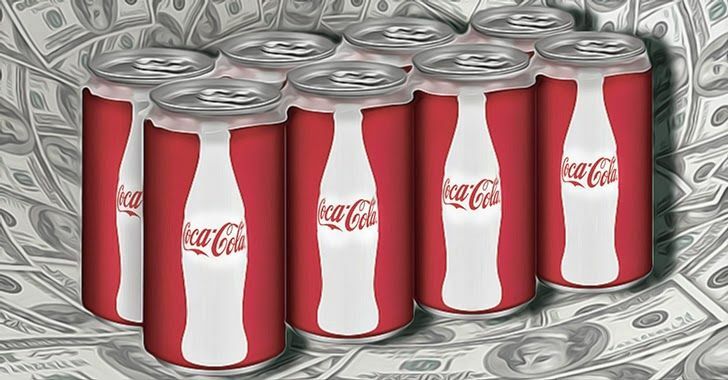 Before those six donations appeared, the amount Coke gave to the American Heart Association according to its disclosures totaled only $80,000. Additionally, one of the grants whose dollar value changed–a $266,602 grant to Dr. Tim Church and Dr. Neil Johannsen of the Louisiana State University’s Pennington Biomedical Research Center that updated to $268,000–still remains at its updated value. Some donations appeared out of nowhere before disappearing, while others that appeared out of nowhere remain. Some donations that changed in dollar value reverted back to their original value, while another record with an updated dollar value remains at that updated value. At this point we can only speculate as to what’s going on, but if it walks like a duck and talks like a duck, it’s probably a duck. Coca-Cola isn’t Bernie Madoff, but if they’re going to publish financial information in the name of truth and transparency regarding their influence over the health and nutrition conversation in this country, they should probably be truthful and transparent when doing so. Following the money can be a tricky business. Source.